In 2013, the Edwardsville/Glen Carbon Chamber of Commerce leadership embarked on a year-long process, led by retired business man Robert McClellan, to develop a new five-year strategic plan. The plan, which went into effect in January 2014, includes a shift in focus to government affairs activities, namely taking an active role in advocacy. Creating a vibrant business environment requires the Ed/Glen Chamber's active participation in the legislative process - advocating for those issues that will benefit the business community and keeping our membership informed of legislation that will impact their business interests. 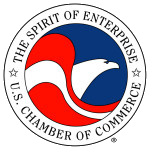 The chamber's government affairs committee (GAC) is charged with this responsibility. The committee researches and discusses a number of issues each month. The product of some of those discussions and additional resources are listed below. After the 2010 census the legislative districts (state and federal) were re-drawn. These legislative district maps show the boundaries for U.S. 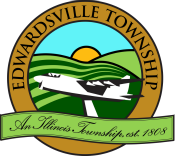 Representatives and Illinois Senators and Representatives in the Edwardsville/Glen Carbon area. 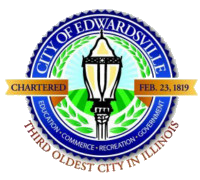 The Edwardsville/Glen Carbon Chamber of Commerce has adopted a 2018 Legislative Agenda. FEDERAL legislative concerns include: healthcare costs, labor and employment law issues (NLRB, FLSA, FMLA), payroll taxes, tax reform impact, and Scott Air Force Base. STATE legislative concerns include: taxes, labor laws, minimum wage, Medicaid transition to managed care, redistricting, pension reform push-down, laws impacting economic development and chamber of commerce organizations, state budget pressures, and workers' compensation. COUNTY legislative concerns include: infrastructure, taxation, and property taxes. 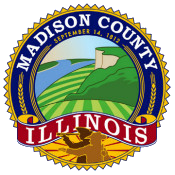 MUNICIPAL legislative concerns include: District 7 funding, SIUE funding, downtown parking, business-related fees and regulations, commercial property owners' rights, ordinances impacting businesses, incentives, development costs, and business climate. At the end of each general assembly, the Illinois Chamber of Commerce rates Illinois legislators on their voting performance on business issues. Check out how state legislators were rated by the Illinois Chamber of Commerce based on business-issue voting history. The Prosperity Project serves to educate, inform, involve, register & mobilize voters. We invite you to explore the information on the Ed/Glen Prosperity Project site and make the most of its resources. The Prosperity Project is your source for staying informed of current legislative issues impacting our state and local economies, the avenue for communicating directly with policymakers, and the tool for holding legislators accountable through the ballot box.